Sharing a bedroom with a baby is a guarantee that the parents will lose sleep. Now a study has shown the child can miss out too. Those put to bed in their parents’ room after the age of six months lose 40 minutes of sleep a night, a study has shown. They appear to lose their ability to soothe themselves and are at risk of tantrums and child obesity due to lost sleep, according to researchers. A study found the average nine-month-old sleeping independently gets almost ten and a half hours of sleep a night. But one sharing a room with a parent gets only nine hours and 47 minutes. That is because they are four times more likely to be taken into their parents’ bed during the night. They are twice as likely to be ‘fed back to sleep’, which can get young children into the habit of needing attention, a bottle or breastfeeding before they can fall asleep again. The study, published in the journal Paediatrics, cites evidence that children under six months should sleep with their parents to prevent sudden infant death syndrome. But lead author Dr Ian Paul, from Penn State College of Medicine, says of older infants: ‘Babies have brief waking episodes overnight, and I suspect parents in the same room are more likely to respond to those awakenings rather than let the baby go back to sleep on their own. The US researchers looked at 230 pairs of mothers and children, finding that room-sharing babies had lower odds of going to sleep by 8pm. Those aged nine months had less night-time sleep, shorter sleep stretches and more unsafe sleep practices. At four months old, room-sharing infants had greater odds of having a potentially unsafe object in bed with them, such as blankets or pillows, which are linked to sudden infant death syndrome because they can obstruct a baby’s airway and cause them to suffocate. On the average 40 minutes of lost sleep for babies sleeping with their parents, Professor Paul said: ‘For children who were still room-sharing at nine months old, the effects persisted when they were two and a half, when they still slept an average of 45 minutes less a night. He said parents should first consider giving a baby their own room from the age of six months. The NHS advises to get a child used to going to sleep without you, comforting them by settling them down before they fall asleep or when they have just had a feed. 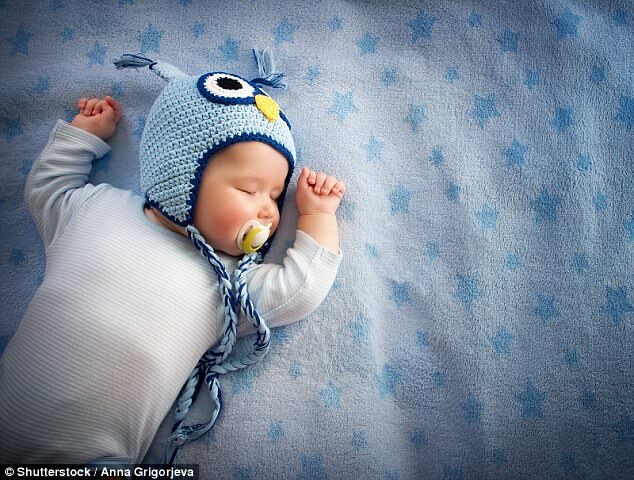 However a commentary in the same issue of the journal, written by two members of the sudden infant death syndrome task force for the American Academy of Paediatrics, notes that children sharing rooms with their parents still get a safe amount of sleep within recommended guidelines. Victoria Allen, Babies sleep LESS if they’re in your room: Infants aged six months or older lose 40 minutes a night if they stay with their parents (2017, June, 5) Daily Mail.